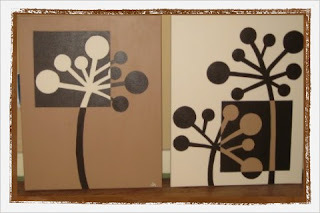 These two were done for an entry way. The wall is chocolate, so I picked my other colors based on that. I like the boxes, I think the design is interesting and fun, yet still simple and not too overwhelming. This picture was taken in my living room. When I'm able to get a picture of them where they now hang, I will post that as well! 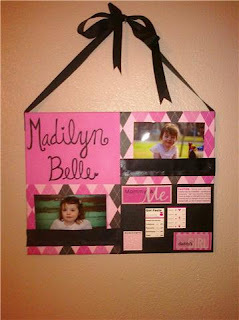 These are pictures of things I've done for my niece Maddie. She will be turning three in December, so most of this stuff was done over the last few years. 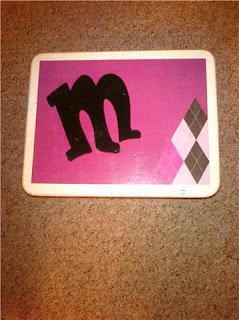 The first one is a stepping stool, it's pretty simple, says "Princess" on one side and has her initials on the other.